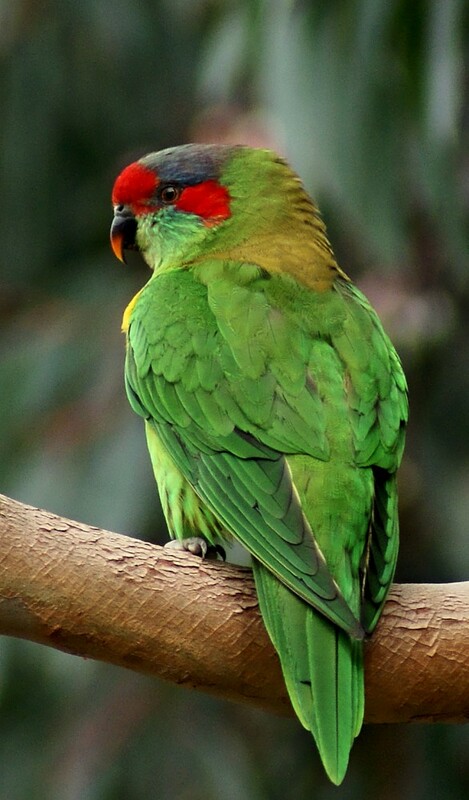 These small, green lorikeets are smaller than Rainbow Lorikeets at 20-23 cm and have higher-pitched and squeakier voices. 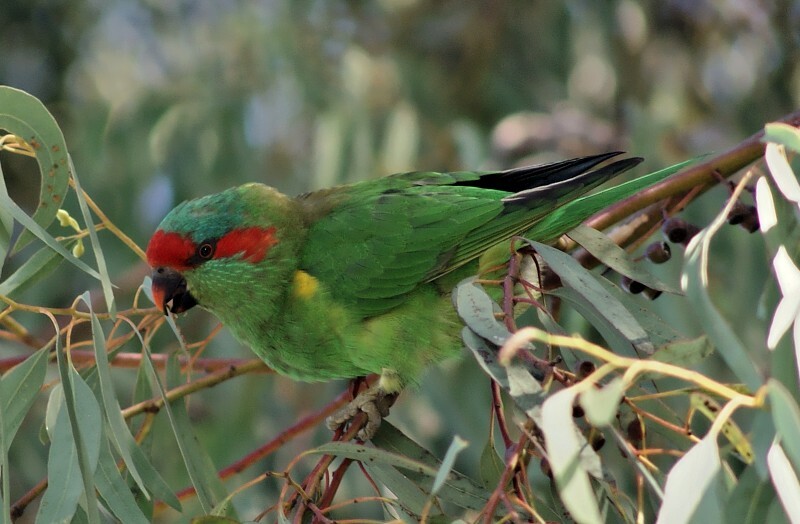 They can be found in large flocks, often mixed with Rainbow Lorikeets, and feed on nectar and pollen, sometimes also fruit and seeds. Despite the bright red on the face, they can be quite hard to spot. 1: Monash University, Victoria, 30/04/2012. 2: Monash University, Victoria, 19/03/2010.